Hey everyone! Regular readers of my blog know that recently hosted a quilt along for my pattern Berry Cross. If you missed out, you can click the tab above to get all the steps to make a lap-sized quilt. For everyone who’s been participating in the quilt along, it’s finally time for the big reveal! I can’t tell you how much fun I’ve had. Thanks so much for quilting along with me. Let's look at my quilts in detail. Here is my Christmas version which I call “Christmas Cross.” I used Colorway 2 to create it. This version was quilted with an eight pointed poinsettia design. In the inner border, I did a simple rolling wave, and for the outer border, I traced the poinsettia shapes. Fabrics: Various Christmas fabrics pulled from my stash. My second version of Berry Cross uses Colorway 1 and is called simply Berry Cross. Clever, aren’t I? <grin> Berry Cross is quilted with circles in a cross pattern within each block. The circles (berries) also appear in the outer squares of the berry blocks within a curved frame. The inner border has a simple rolling scroll; a berry leaf appears in the outer border. So it’s time now for you to link up your Berry Cross quilts in our Grand Finale Show and Tell! To make it interesting, you can vote for your favorites. The owner of the quilt receiving the most votes will get a surprise handmade by yours truly. In addition, I will randomly pick a winner to receive a $25 gift certificate from our quilt along sponsor, Always in Stitches. The linky will remain open until Monday, February 27th at midnight EST so be sure to link up before then. After the linkup part closes on Monday at midnight, the voting will begin. You can vote three times. Voting will remain open until Thursday, March 2nd at midnight EST. I'll post the winners on Friday, March 3rd so be sure to come back and see who won! I really appreciate everyone who helped make this quilt along be so successful. In fact, I have a gift for each of you! Everyone who links up a finished quilt will receive a coupon for 20% off all patterns in my store. Just be sure to leave your email address in the linkup. I will have Berry Cross available soon in a multi-sized pattern, so make sure you are following my blog! I have tons of ways to do that. If you want to follow me on social media, see the buttons at the top of my sidebar under Come and Follow Me! You can also subscribe to my posts through my email newsletter, Bloglovin’, Feedburner, or Quilter Blogs. Just look in my sidebar under Other Ways to Follow Me. One final reminder...I'm hosting another linky here. Link up any WIP before midnight Friday, February 24th for a chance to win a lovely charm pack from Windham Fabrics. If you missed the deadline, don't despair...you can enter every Wednesday for the next few weeks for extra chances to win. Voting is now open and will remain so until midnight EST on Thursday, March 2nd. To vote, click the heart on a quilt you like. You have three votes. I'll announce the winner on Friday, March 3rd. Also, don't forget to enter my Wednesday Wait Loss party for a chance to win a Windham Fabrics charm pack! Tell me...what did you like best about this quilt along? 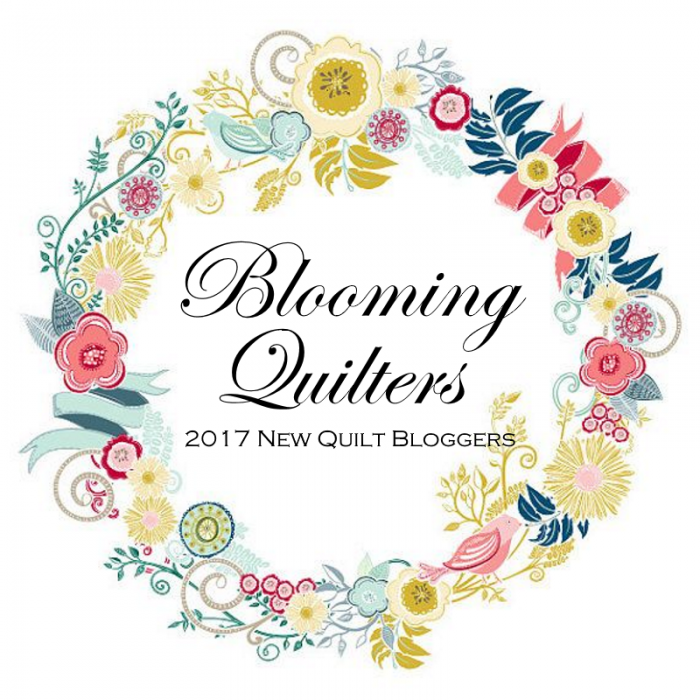 Congrats fellow quilt alongers! We don’t have a linky this week. Instead we have some final instructions. We’ll meet back here in January with our finished quilts for one last linky and a final giveaway. If you add these borders, the quilt top will finish at 55” x 67”. If you decide to go borderless, the quilt top finishes at 48” x 60”. After you get your quilt top sewn together, it’s time to prepare the quilt back. When I figure the yardage for my quilt backs, I allow for a 4” overage on all sides. If you don’t add borders, you’ll need 3 1/8 yards for your backing. If you add borders, purchase 3 1/2 yards instead. Cut the backing yardage in half lengthwise to create two pieces and sew them together using a 1/2” seam, backstitching at the beginning and end of the seam. Press the seam open or to the side—whichever you prefer. Press the rest of the backing nice and flat, press your quilt top clipping any long or loose threads, then layer and baste your quilt to prep it for quilting at home or hang your quilt top and back on hangers to keep it from getting wrinkled until you can get it to your favorite longarmer. The next step of course is to quilt your quilt. Even if you take your quilt to a longarmer to have it professionally quilted, you’ll need to have some idea as to what type of quilting you want. Ugh. Quilt as desired. Pretty intimidating, because what that phrase means is you’re the one in charge. The Big Decider. The Person With All the Answers. Here’s my approach to the quilting dilemma. You might start with how the quilt will be used. Berry Cross is lap size, so it might see a lot of use and therefore a lot of washing. In order to extend the life of my quilts, I don’t wash them until absolutely necessary. But others have a different view. Anyway, if the quilt is going to see daily use, you want to go with some kind of allover pattern that will take less time (or cost less, if you’re having the quilt professionally finished). Since Berry Cross has a lot of pointy shapes, I recommend a curvy allover pattern to soften and compliment it. Here are two of my quilts that use an allover curvy pattern. Test out your quilting patterns like I do: just draw them using an erasable marker onto a piece of upholstery vinyl. After quilting your quilt, you’ll need to trim and square it up, then bind it. If you did not add borders, you’ll need 1/2 yard for binding; for a quilt with borders, you’ll need 5/8 yard instead. Cut your binding strips 2-1/4 to 2-1/2” wide as you prefer. Use a diagonal seam to join the strips, then press the binding in half. Attach the binding to the quilt and don’t forget to add a label! Thank you everyone for participating in the quilt along. I wish you and yours a happy holiday! Please finish your quilt tops and get them quilted. We’ll meet back here on January 27th for a linky party to showcase our finished quilts. And of course, there’ll be a giveaway! In the meantime, please share photos of your progress in our special Facebook and Flickr groups, or on Instagram with the tags #BerryCrossQAL and @inquiringquilter. Let’s encourage each other to get these quilts finished! Tell me...how do you think you might quilt your Berry Cross quilt?